Enjoy an orientation tour of Acapulco which is the best way to explore the city in 5 hours of fun. You'll visit the most interesting points of the three zones of Acapulco which are Traditional, Golden And Diamond. And, of course you'll get to see the natural famous Acapulco Bay. Your 5-hour tour is a great opportunity to combine the old and new Acapulco, and to know how this beautiful city is still changing. You will be picked up from your hotel and see the Princess Hotel and then the Peace Chapel (Las Brisas). Your tour continues to Mural of Diego Rivera House and then to the San Diego Fort which includes the Acapulco historical museum. Take in some history and then head to the "world-famous" cliff divers of La Quebrada. The tour then takes you to the main cathedral of the city to then give you some time to check out the major art craft shops and flea market where you can get some souvenirs. 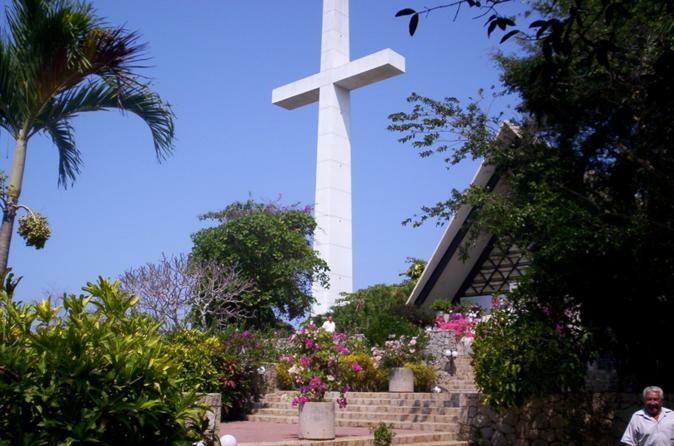 This tour will certainly give you the chance to learn about locations and history during your stay in Acapulco. Your tour ends with hotel drop-off.